It’s good to be back home to the start of Autumn after a mixed European leg to finish this season. 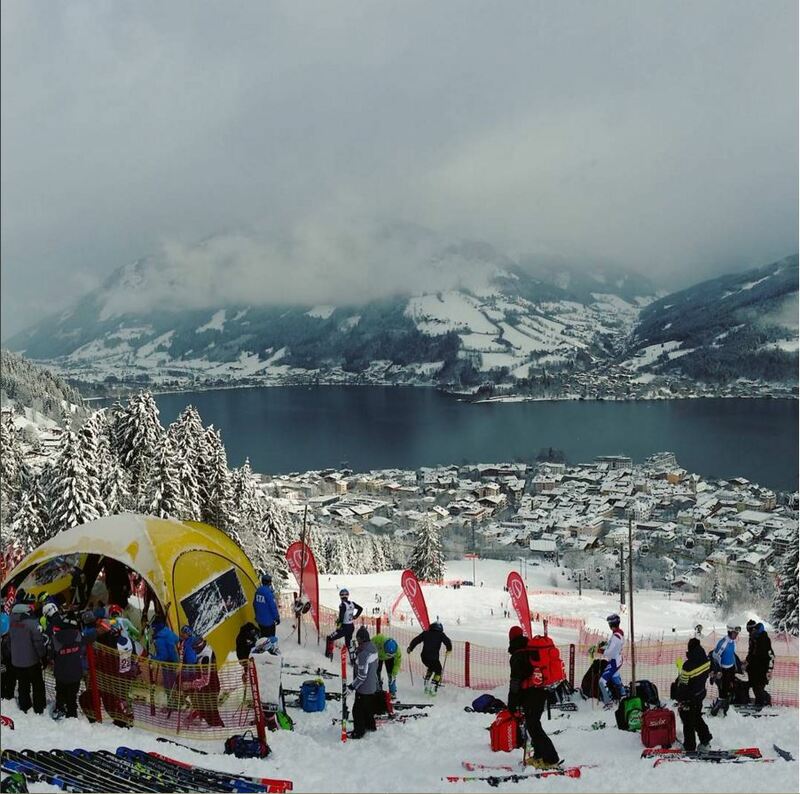 March continued with varied snow conditions and weather for some tough race conditions. We also got some excellent training and the odd bit of sightseeing thrown in as we made the most of our time. March started with three World Cup races in Kranjska Gora, Slovenia (2 x GS, 1 x SL) with a large field of the world’s best and some tough conditions out there: fog-snow-rain-mist, and the announcers were saying the course was “brutal, rough, rugged, rutted, potholes” – and that was all after just the first 7 racers. 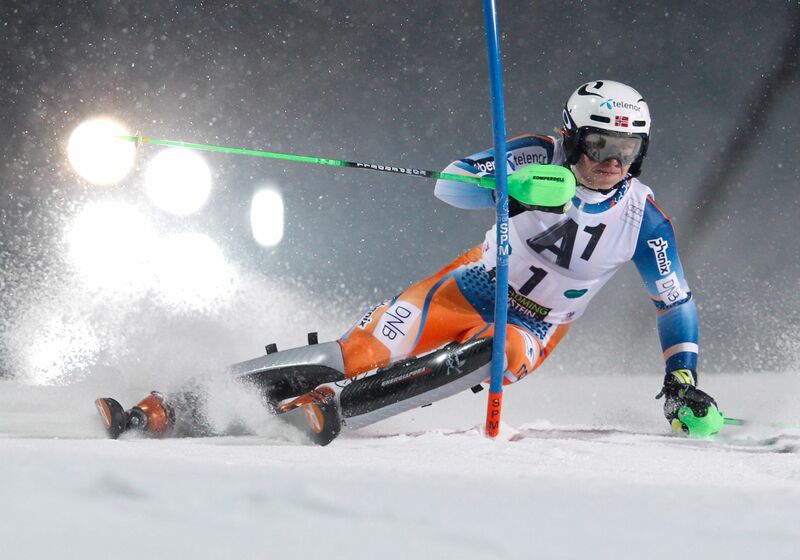 It was by far the toughest gs race I have skied, the announcers had it right! They moved the start down again for the second run due to poor conditions. 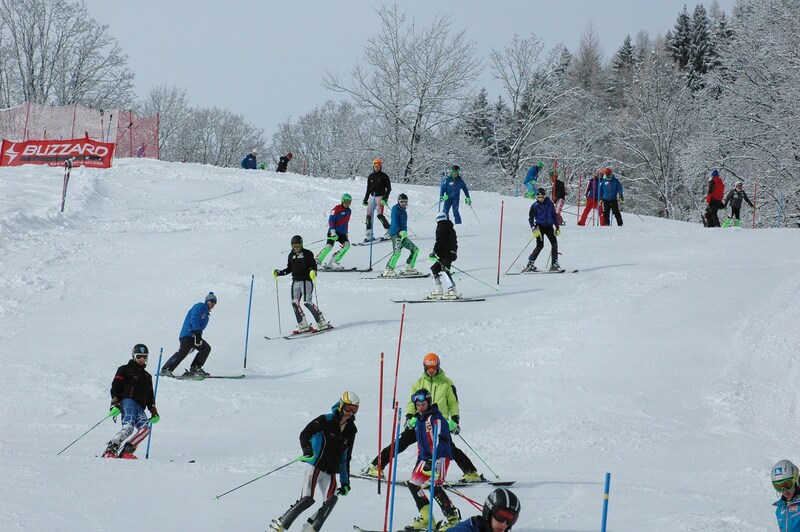 It was also pretty tough conditions in the slalom starting 74 in a field of 80 athletes. I think I gained a huge amount from the WC races, definitely a worthwhile experience. 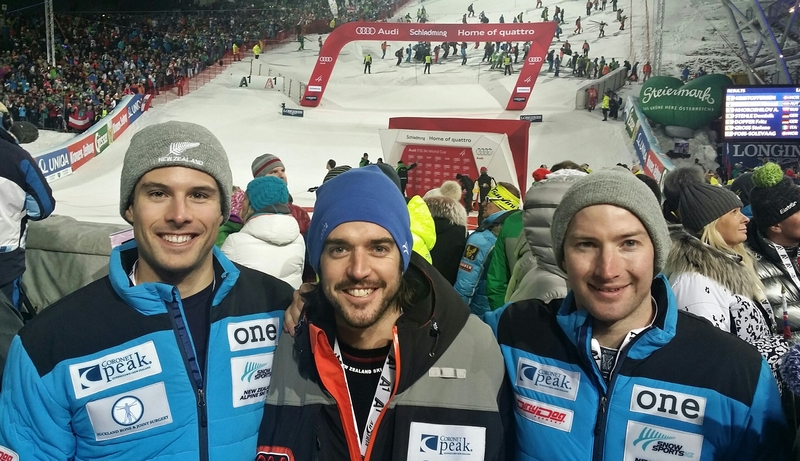 From the WC races, we moved on to Bad Hofgastein, Austria for a couple of GS races with the first being cancelled due to snow conditions and warm weather. The cable train we had to catch to get to the race start was crowded with over 50 athletes and all their gear. Managed to get day 2 of the GS completed, unfortunately I made a few mistakes which cost time. Again a large field of 134 athletes with a real international mix of top athletes. After a couple of days training, we moved on to Hinterstoder for four days of races. While it was pretty frustrating with my results, I had some good skiing and feel I am improving, getting stronger and faster but needing to put it all together into two runs. It was good to get a couple of days off before travelling to races in Kranjska Gora, Slovenia again. 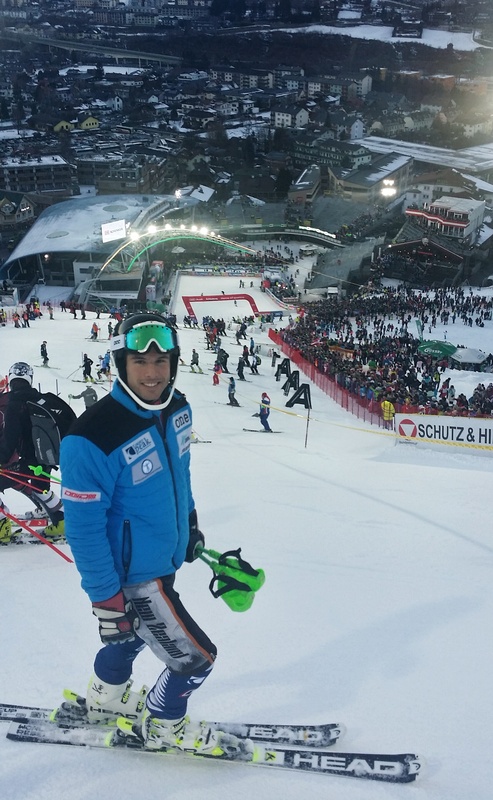 In the GS I was frustrated with a mix of good skiing and too many mistakes. 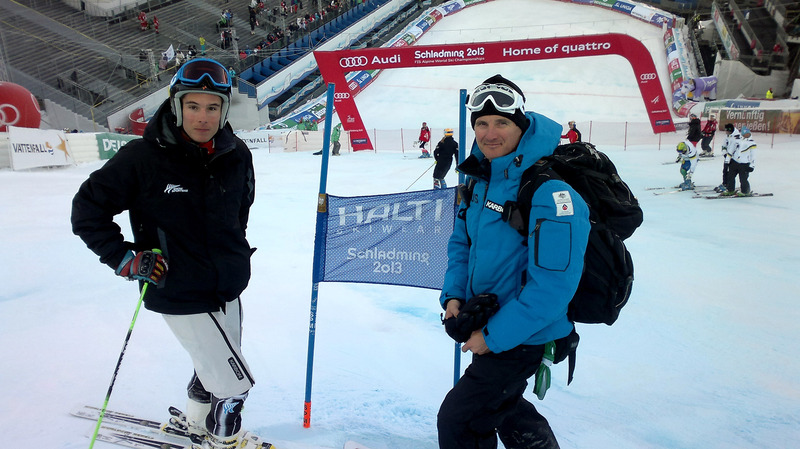 I felt I was skiing really well in the slalom, unfortunately, came out near the finish in the 2nd run. It was good to be able to take some time out in the afternoon to do a bit of sightseeing around Lake Bled and the castle before heading on to races the following day at Zagreb-Sljeme, Croatia. Snow conditions in Zagreb were very lean to say the least, as you can see from the photos below. 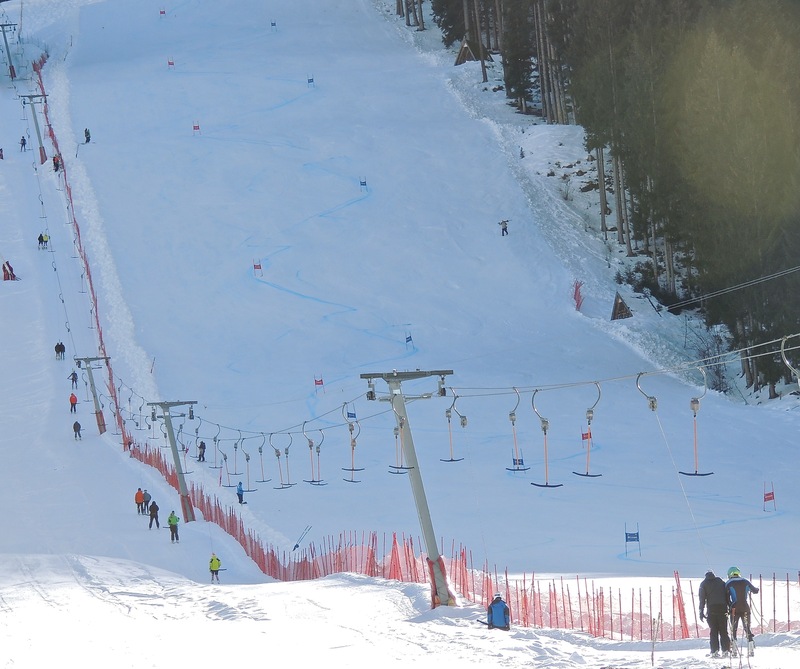 Day one of the slalom races was delayed for a couple of hours to see if the salting and watering of the course could firm it up enough to race on. First run was set by Kostelic and a pretty classic set of his – with a delay into hairpin, gate, into royal flush into delay into hairpin. Again had some fast sections of skiing, but disappointed to not finish the second run both days. It cooled down a bit for day two and the small amount of snow held up surprisingly well. 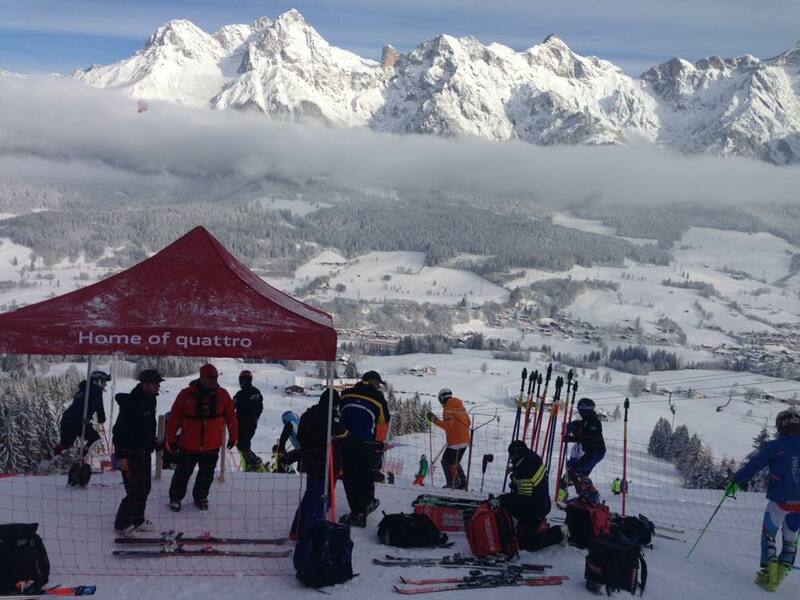 From Croatia is was a bit of a long drive through to Tarvioso, Italy for a super g race at Sella Nevea. After only having super g skis on once before for the season and the race course being one of the toughest super g’s I’ve been on, I was happy to finish, although not very fast! Started bib 32 and ten athletes either side of me didn’t finish. The attrition rate was quite high with just 43 of 75 athletes finishing. 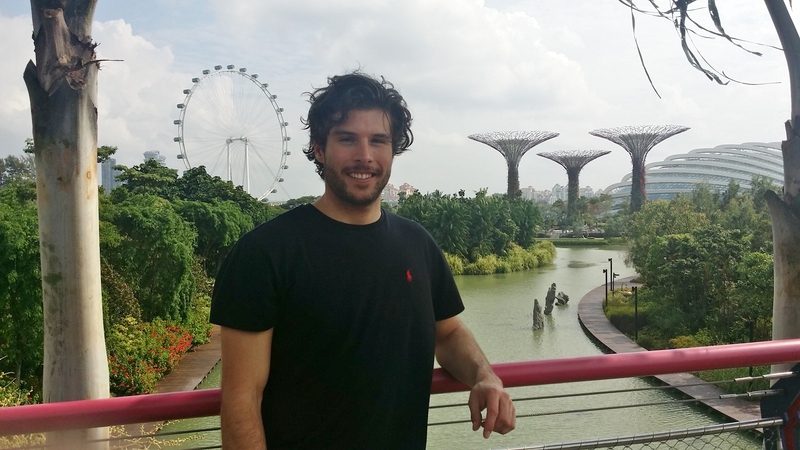 From Italy, as soon as the race was completed it was a rush back to our home base in Saalfelden, Austria to pack and catch the plane from Munich, Germany the following day (26th March) then the long trip home. The northern hemisphere 2015/2016 season has had it’s ups and downs with some goals met and some not quite reached. Overall it has been a successful time for me with my world ranking lowered which always helps, but also I know my skiing is improving all the time. 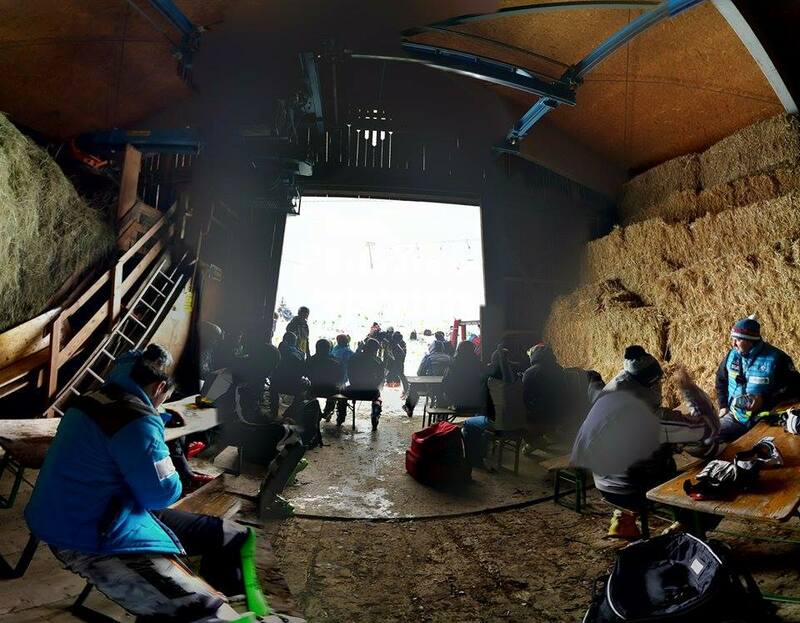 I would like to acknowledge the many people from all over the world who make ski racing possible – from the mountains and their race crews to the many volunteers, parents and athletes who all put so much time and effort into making so many awesome races. Also to the international coaches and teams who helped us out with training space. Many thanks to my coach Nils Coberger for his huge input and our Team Manager, Hamish Edwards for his continued support. Thanks too, to Guenther Raedler for your ongoing assistance. A big thank you to my family, all my sponsors and supporters who, without your help, I would be unable to continue. A short break now to debrief and then it is back into my dryland training programme – many thanks Ben Griffin for working on our programmes, continually tweaking them to get the best out of us. 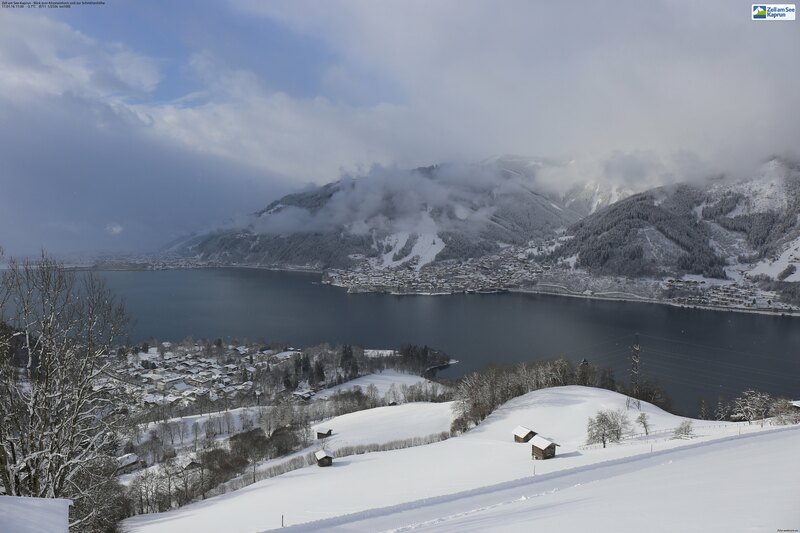 The Team arrived into Austria from sunny Queenstown well after midnight 10th January and straight back into full swing, based about ten minutes drive out of Zell am See. Started with a short training day but the conditions weren’t the best with still a lack of snow. Fresh snow started that night and the following day, still snowing heavily, we went straight into our first race for the european season with a couple of slalom races at Hinterreit. 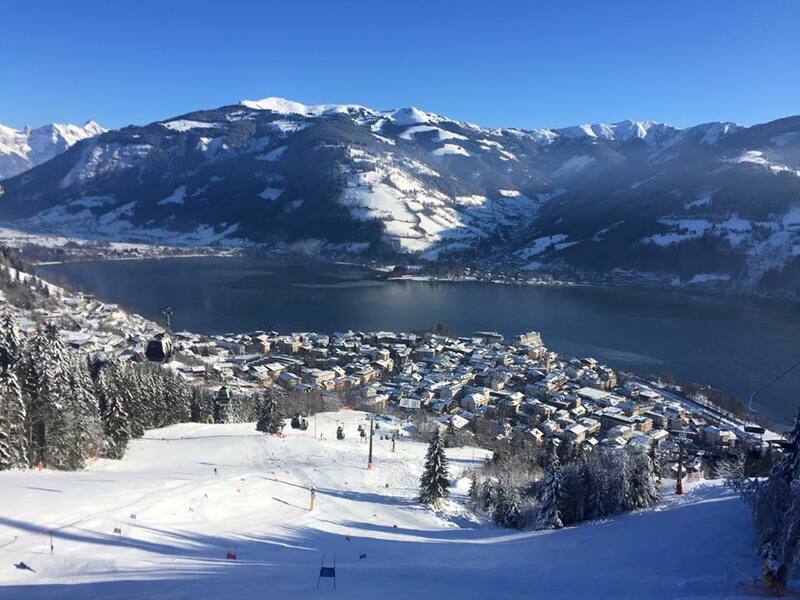 After Hinterreit we had a day off then trained the following morning before it was straight on to a couple of Europa Cup slalom races at Zell am See, the first being a night slalom. Picked up some new skis on our day off and started using them straight away. Unfortunately they were a bit stiffer than my previous ones and the first run was a very tight set! Really happy with the new HEAD skis, just need more time on them! 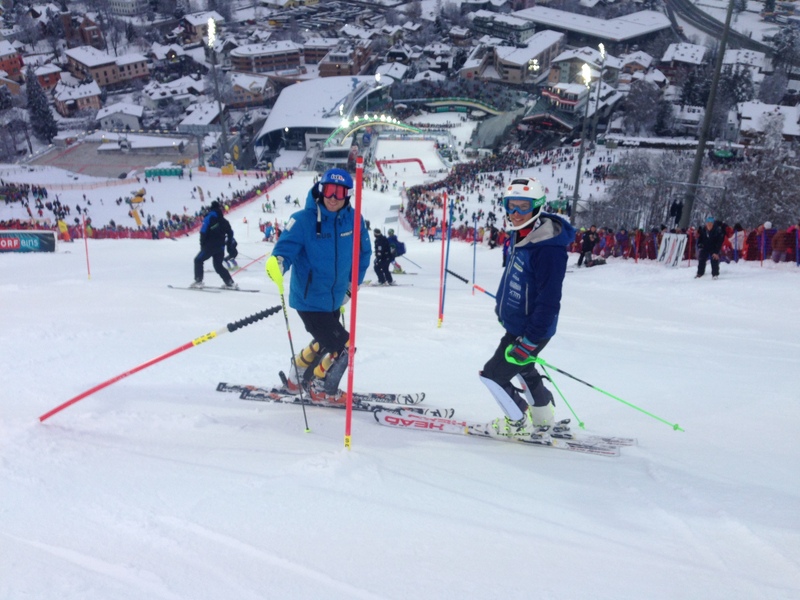 Following the races, we trained three days gs at Hinterreit and then I had a day training slalom with Henrik Kristoffersen and others on the Norwegian team – very tough icy course which I struggled on for a bit. It has been awhile since we’ve had ice to train on. 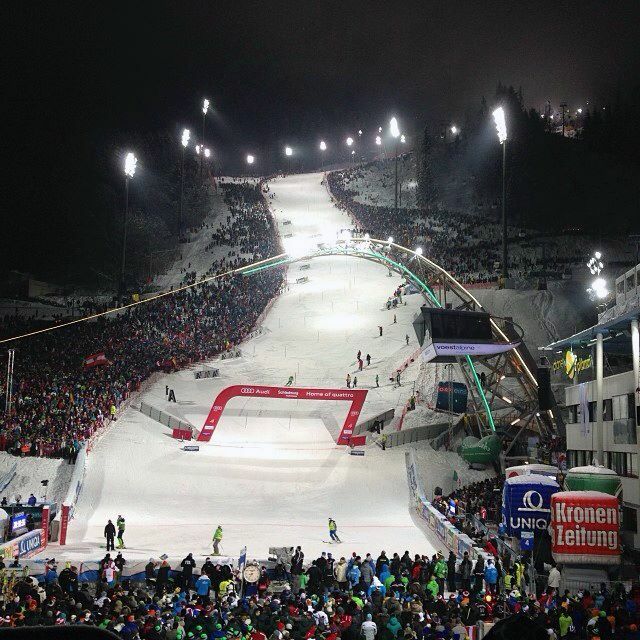 World Cup Slalom night race at Schladming, Austria! 26th January. Always a huge event. We were supposed to get a free run on the race hill the night before however this got cancelled. Rained heavily most of the night but cleared up for the race. Inspection was at 4.00pm bib start 80 for me and Willis with 81. 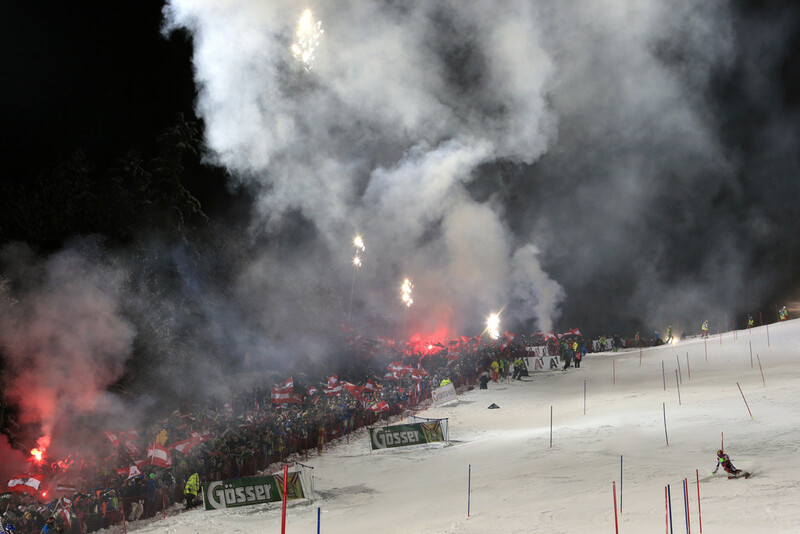 Huge crowd of enthuastic fans around 45,000 all keen for their athletes to win with Marcel Hirscher, Felix Nuereuther and Henrik Kristoffersen the favourites. The course got pretty badly chopped up by the time I started, especially the top section. I was happy with the way I skied the top section however really over skied the bottom section. 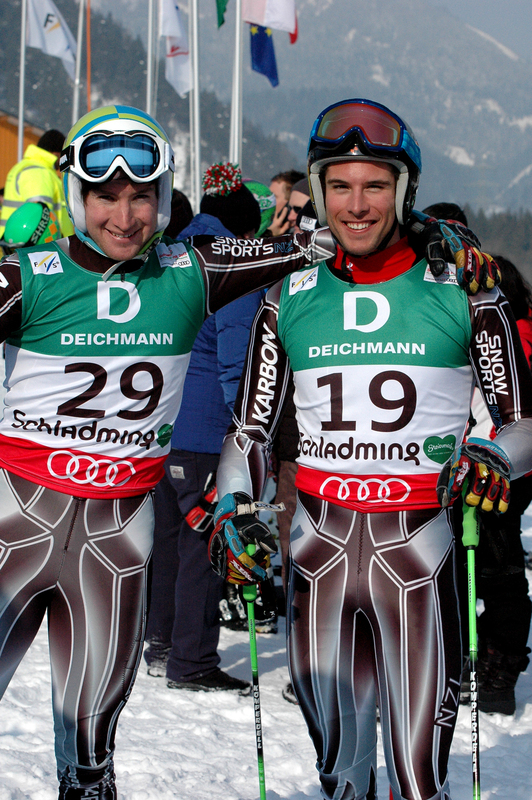 Marcel had goggle issues, coming 22nd and Felix was in top spot after first run. 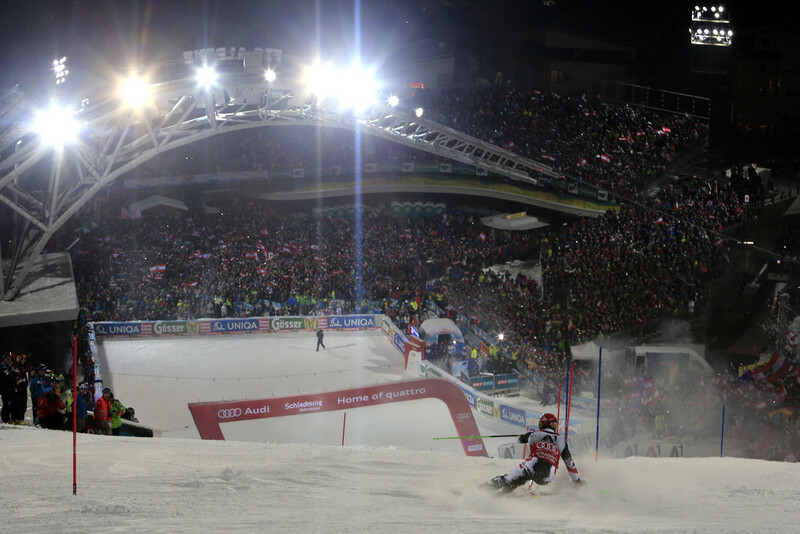 Marcel Hirscher put in the fastest 2nd run time coming 2nd overall unfortunately Felix DNF’d just before the finish so Henrik took out the win. Many thanks to Juro Kristof for the video! 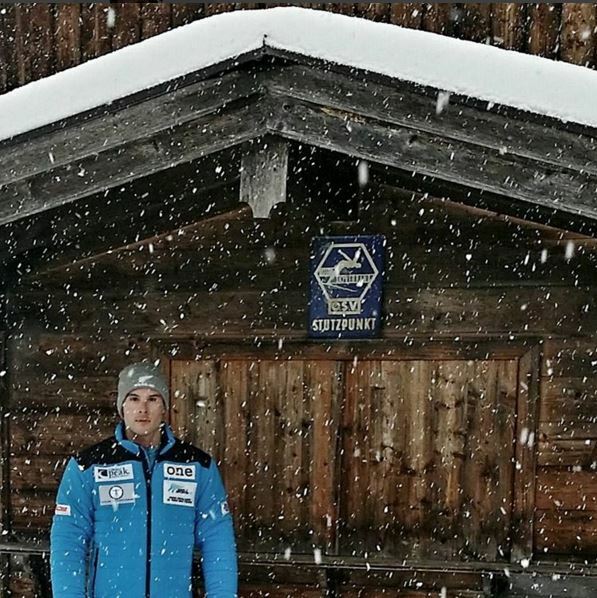 Back to training giant slalom at Hinterreit before travelling to Garmisch, Germany for the next race – World Cup Giant Slalom! Awesome experience! 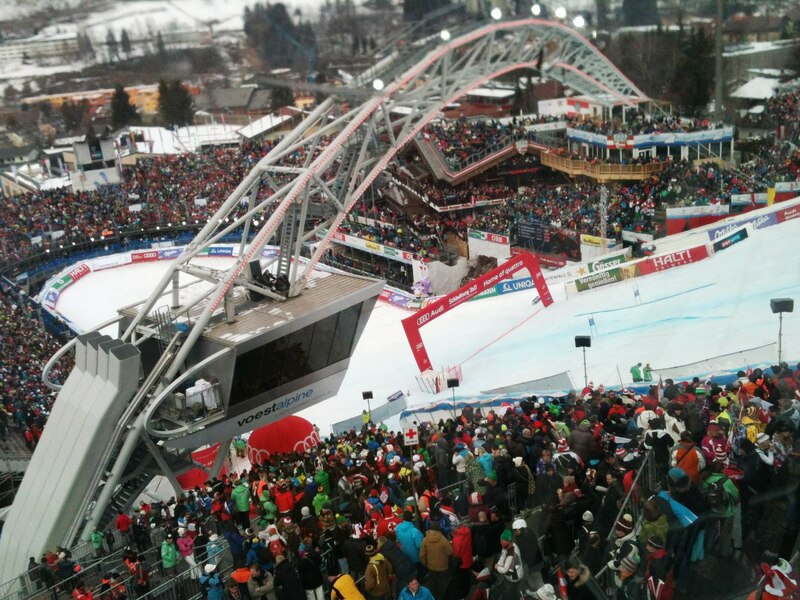 First World Cup slalom at Schladming – an enormous crowd reported to be 50,000, lining the course from start to finish and stacked in the stands and buildings at the finish area. Such an amazing atmosphere. It started snowing a couple of days before the race for the first time in weeks and it was snowing lightly during the race. It was a great course and despite starting bib 78 the track was in fairly good condition. I moved up to 57, although only the top 30 get a second run in World Cup races but it was great to be a spectator for second run and watch the top guys in action. Winner – Henrik Kristoffersen, Norway. 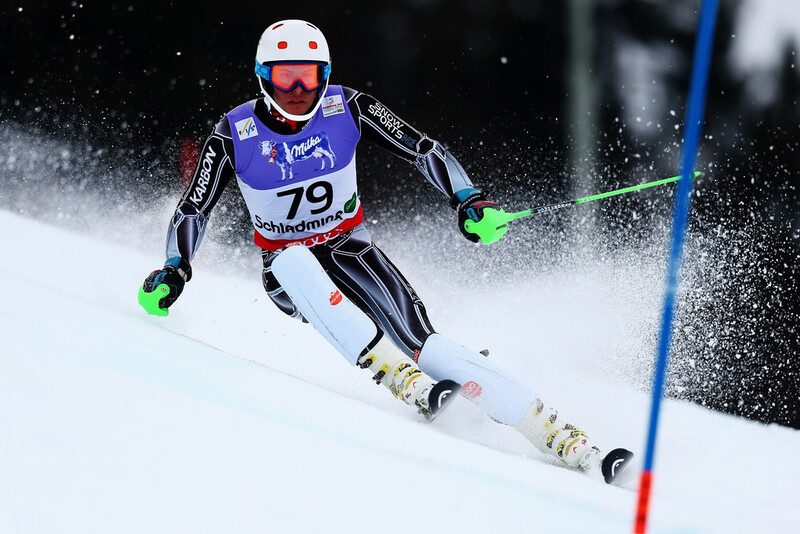 The World Ski Championships in Schladming have been an amazing experience and I was lucky enough to represent my country in the giant slalom and slalom races after performing well at qualifications where the top 25 get into the final race. Particularly in the Slalom where I raced from position 48 into 9th on icy conditions and was very pleased with my performance. In the GS race I fell not far from the bottom and although that’s a little disappointing I was happy with my intermediates. In the Slalom I straddled just before the first intermediate. Not what I was hoping for but that’s ski racing sometimes and I was giving it my all. 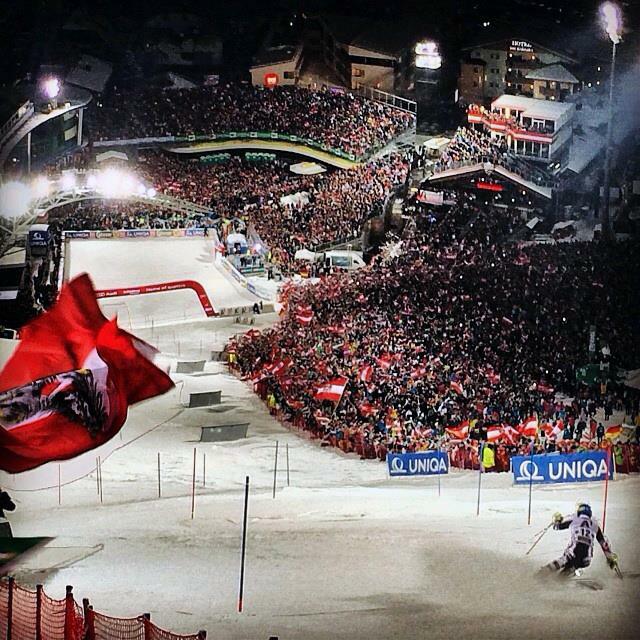 There was an incredible 55,000 strong crowd for the Slalom to see Hirscher take the gold for Austria. At the time I came down many of the fans were out in search of their next drink, however the bulk remained. Being a part of that environment, seeing the fans and to race in such a race had to be one of the best experiences in my life, not to mention motivating. Thank you to all the New Zealand and Australian team coaches involved, for making it possible for all of us. Also big thanks to Mike Rishworth of the AUS team for the use of his edge machine. Sharp skis were definitely a necessity over the past couple of weeks. It has been a both mentally and physically exhausting week. We’re not done yet though. 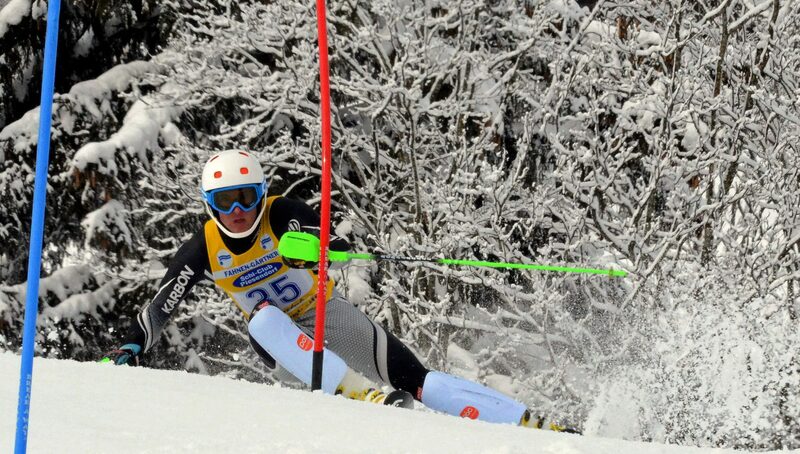 Tomorrow we leave for a couple of slalom races in Annaberg, Austria on the 20th and 21st. 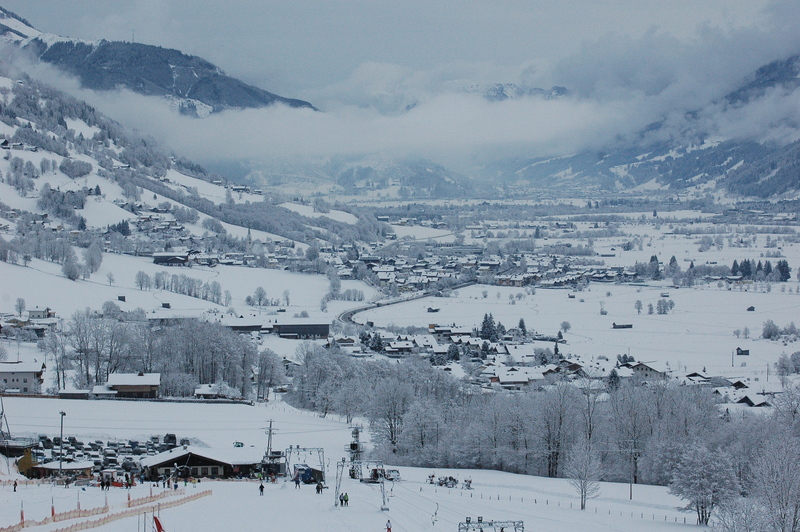 Since my last update I’ve competed in four slalom races – two in Jenner, Germany where what Iv’e been skiing in training didn’t really transfer into racing until the final run which didn’t help all that much. My slalom is coming together really well in training and am feeling more and more confident with my changing tactics. The next two races at Piesendorf, Austria 5th & 6th February went much better and was very happy to make a personal best result on day one and day two! Over the past couple of days we have been concentrating on some GS training on the new radius skis. They are a bit of a battle as many have said however we’ve had some fantastic training and I’m slowly getting there!